75” interactive touchscreen panel with 4K Ultra High Definition display. Provides the best overall experience with its various features. Silktouch technology provides a smooth surface for effortless and error free display. Completely eliminates glare and provides the best view from any angle. 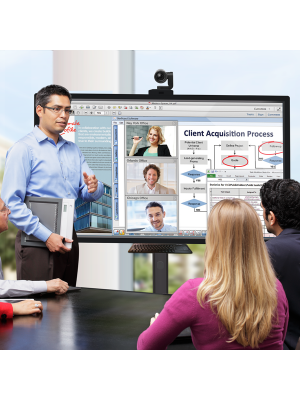 Collaborative work is extremely convenient due to its 10 simultaneous touch points. SMART ink technology allows users to write freely using digital ink and ensures the legibility of the written material. Mounting points available for Mini PCs. SMART Learning Suite included with access to world’s best educational software. Comes with a 2-year standard warranty. 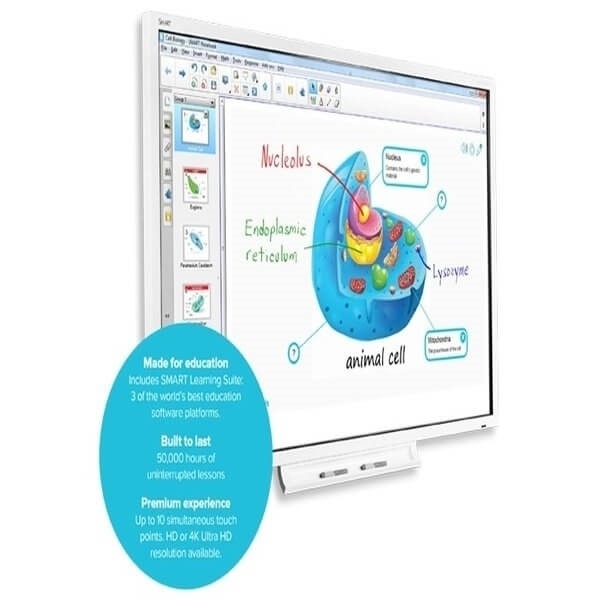 SmartBoard 4075 Interactive Touchscreen display is made from state of the art technology in order to provide an unparalleled experience across the globe. Firstly, it has a huge Interactive Touchscreen panel of 75” which has a 4K Ultra high definition display that provides the user crisp, bright and sharp colored images. Through its various features, SmartBoard has the capabilities of providing the best experience possible. A gesture support is integrated within its system in order to provide the user with more convenient operation. Its display also completely eliminates glare and provides the best view from any angle. Furthermore, collaborative work is supported due to having 10 simultaneous touch points. SmartBoard 4075 also has SMART ink technology which ensures the legibility of the written material. It also has HDMI, VGA and USB connectors available for additional connectivity options. It also possesses mounting points for Mini PCs to encourage more flexible and versatile use. Other features include a SMART learning Suite which gives access to world’s best educational system. 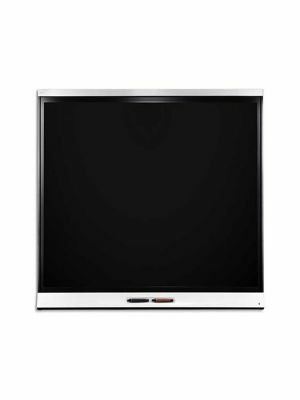 SmartBoard 4075 Interactive Touchscreen Display comes with a 2-year long standard warranty. 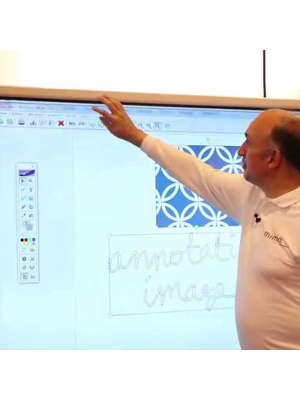 SmartBoard 4075 has brought a combination of novel and intuitive technologies to the table, which bring a promise of revolutionizing the way classroom interactions take place. SmartBoard comes with a display which allows users to fully interact with and operate its various feauters. It allows teachers and students to draw and write onto the surface while the relevant info/slides are still on display. With the help of the touch feature students are able to scroll through various slides, play around with the objects and erase unwanted information just by rubbing their fists onto the screen. This allows the users to integrate the function of a traditional whiteboard and projector onto one single platform. The system allows the users to use the screen as a traditional writing board with the help of board markers and also does not limit the users to work in isolation. Multiples students can write, draw and erase on the screen simultaneously because of its 10 simultaneous touchpads. This allows collaborative work sessions to become a possibility which saves time and encourages group work in the classroom. 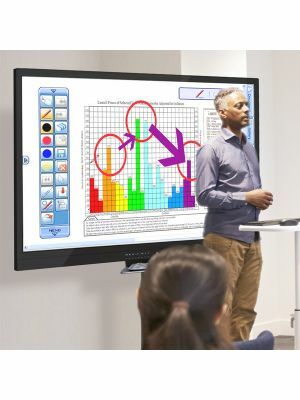 SmartBoard 4075 supports multiple platforms and allows connectivity through USB, WGA and HDMI so that the users can operate the system with their desired platform. Ten simultaneous touch points on computers with Windows 7, 8 or 10 operating systems. One touch point on computers with Mac OS X 10.9 , 10.10 or 10.11 operating system software. For a standard VESA® 1000 mm × 600 mm mounting plate. Lower holes are 8" (20.2 cm) from the bottom of the interactive flat panel. Uses M8-1.25 screws. HDMI® 2.0 input. Maximum cable length of 6' 5" (2 m). USB 2.0 Type-B (touch). Maximum cable length of 6' 5" (2 m). HDMI 2.0 compliant. Use a certified active HDMI extender for longer cables. 72 1/2" × 50 1/2" × 11"
More than 20 years ago smart technologies invented the Smartboard. An amazing tool that transformed the classroom, helping teachers connect and collaborate with students like never before. As we strive to help educators create learning environments where technology blends into the background, we're excited to offer the broadest range of interactive flat panels designed specifically for education. Our new 4000 and 6000 series are intuitive and easy to use, allowing students to learn naturally. Now you can enjoy a more beautiful, brilliantly detailed 4k and HD images without the downtime associated with replacing projector bulbs and without shadows glare or washed out images interfering with the lesson. In my classroom the use of technology and my comfort level stems from, well I have children myself. Seeing them grow up in a society where technology is there. Realizing, this is where my kids are and this is the tool that they have and I need to jump on board with them and help lead the way. Society has her space here right so after she shares you're gonna give her feedback. We're a K to 12 independent school using the Smart Learning Suite. It's pretty amazing. Every teacher uses it in different ways. More than 20 years ago smart technologies invented the Smartboard. An amazing tool that transformed the classroom, helping teachers connect and collaborate with students like never before. As we strive to help educators create learning environments where technology blends into the background, we're excited to offer the broadest range of interactive flat panels designed specifically for education. Our new 4000 and 6000 series are intuitive and easy to use, allowing students to learn naturally. Now you can enjoy a more beautiful, brilliantly detailed 4k and HD images without the downtime associated with replacing projector bulbs and without shadows glare or washed out images interfering with the lesson. These new smartboard solutions encourage both the process and product of learning, building skills, as well as knowledge. Our new generation of commercial grade panels are rated for up to 50,000 hours of operation, providing years of stunning content quality and reliable service. Smart Technologies is an education company. We spend countless hours with teachers and students learning how to build the best products for education. What we find is that we need to join the analogue and digital experience together. When a child walks up to the front of the room, it needs to feel like they're walking up to a dry erase board, it needs to be that natural and so, when they pick up a red pen it needs to be red. When another child picks up a black pen, the red pen shouldn't interfere with the black pen. We call that pen IQ. We optimize the brightness of our displays to ensure that user comfort of our educators and students. Thanks to Smart object awareness, just do what comes naturally. When you want to erase you can use the back of the pen or your fist to wipe it all away. As a former educator I know what it's like to be in the classroom when teachers walk up to that board it needs to be easy and intuitive to use. We call our touch experience SilkTouch. It's really a combination of numerous elements that have been put together to make the best touch experience in the industry. If smart ink would actually makes your writing look better than on any other screen, so teachers don't have to rewrite and everyone feels confident contributing. These are all the little things that we worry about when we're designing products for education. The learning experience as smart as creative goes well beyond our hardware. We also include Smart Notebook software, the most popular learning software in the world. Together this solution delivers the best experience to naturally connect teachers and students. Now everyone can plan learn and collaborate. Our new smart boards are truly dependable simple and intuitive and are combined with incredible tools that help you teach, plan, collaborate and share like never before. 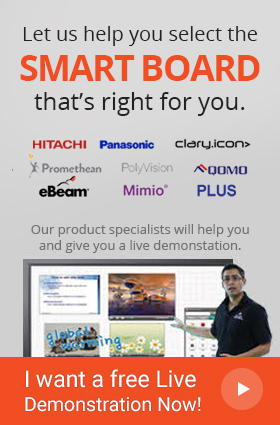 It's the biggest advancement in smartboards since we introduced you. Q. Can I adjust the brightness in my SmartBoard 4075? A. Yes, SmartBoard 4075 allows users to adjust the brightness and contrast at will. Q. Can I use board markers on the screen? A. SmartBoard 4075 comes with its own set of dry erase markers and allows the users to add their input onto the screen through finger touch and pen. Q. Which operating systems are supported by SmartBoard 4075? A. SmartBoard 4075 supports Windows and Mac. Q. Does SmartBoard 4075 interactive touchscreen come with a remote control? A. Yes, SmartBoard 4075 comes with its own infrared remote control.